Glenn Treibitz is the president and CEO of Hollywood Piano. Glenn has been in the business since age 10 as a Hammond Piper boy. 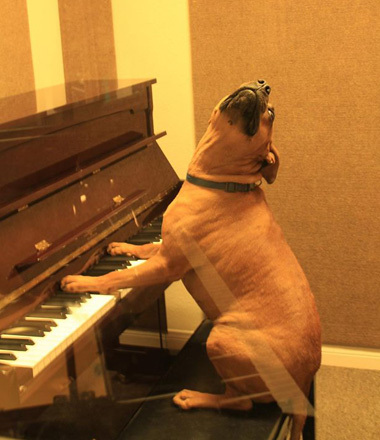 Glenn is passionate about pianos and eats, breaths and sleeps pianos. He is an Moreacknowledged expert in the field often called upon by colleagues and the media for advice and information. 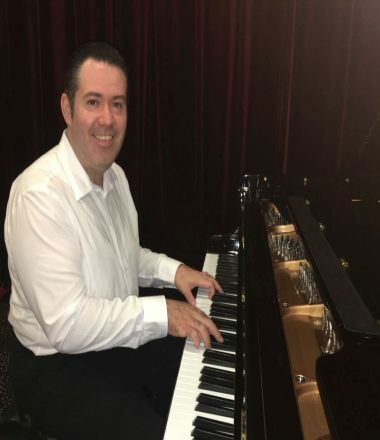 He is also a university trained music educator, has served as a pianist, vocal coach, musical director and conductor for musicals, nightclubs and cabarets. He is an award winning musical theater composer, lyricist and librettist. Glenn is currently composing solo piano relaxation music for his upcoming CD “My Macu Piccu Dream”. 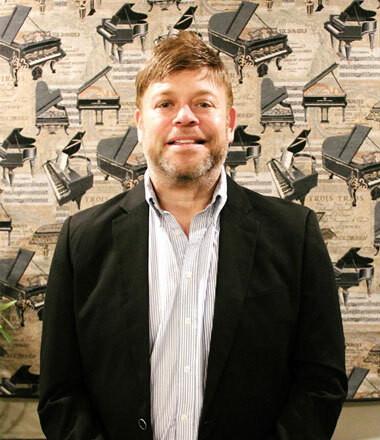 Ric Overton (with the company since 2013) is the General Manager of the Hollywood Piano Company. He is a veteran of the piano industry. 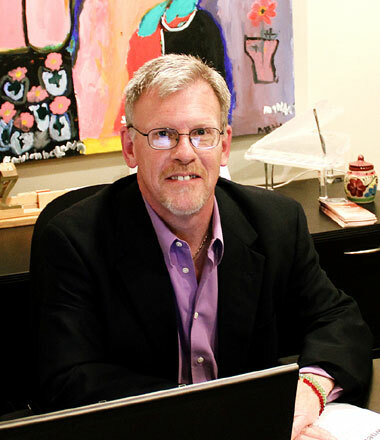 Ric served as a Sales Manager and Business Development MoreManager for Baldwin Piano Company for several years. Having owned his own store with his partner in San Diego for a period of time, Ric brings to Hollywood Piano his expertise as a well seasoned businessman as well as a piano player. Ric has a real passion for religious music as well as the piano itself. He also owns a nationally recognized website called www.PianoSD.com. Tim Spearman PHD, ( with Hollywood Piano since 2013) a graduate of Vanderbilt University in Nashville, TN has joined Hollywood Piano as the Finance/Operations Manager. Tim brings to Hollywood Piano Morea vast array of knowledge of finances along with the operations of a modern day piano business. Tim has worked in and around the piano business for over a decade. Tim joined Hollywood Piano to assume the management roles of finance and operations. Dan Manuel (with the company since 2004) is a piano and keyboard specialist for over 30 years. His experience spans from Asia to the U.S. His marketing experience along with his customer service Moreexperience makes his customers his top priority. Dan heads up our long term and short term rental business as well as his duties as a top performing salesman. Dan’s passion for music includes his own performing group called Music Masters Band that performs all over the West Coast. Dan is originally from Manila, Philippines and now makes his home in Granada Hills. 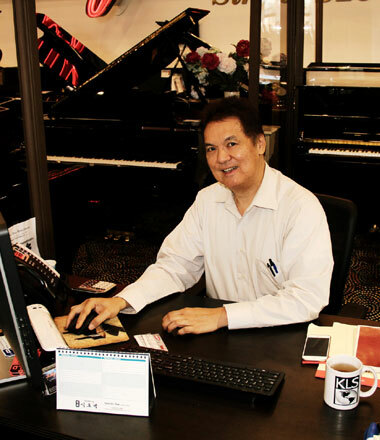 Gus Franco is a piano industry veteran with over 20 years of sales and management experience. An expert in acoustic and digital pianos, he brings his expertise and knowledge to The Hollywood Piano Company. MoreHe started his musical journey playing flute at the age of 8 where he ascended to first chair at Dacotah St. Elementary School. At the age of 10 he was chosen to join the Conservatory of Music at Cal State Los Angeles. He competed and won many awards with the Stevenson Jr. High School Orchestra as first chair of the flute section. In his Sophomore year with the Roosevelt High School marching band he was chosen over thousands of top musicians in Southern California to perform in the Dodger Stadium Inaugural Band two years in a row. His senior year he was elected to be the Drum Major of the marching band and lead the school to many 1st place wins in their division. Transitioned to piano and received accolades and recognition for Latin Jazz improvisation by taking 1st place and Grand Sweepstakes in the annual Los Angeles County High School Jazz Band competition. His love for music and enthusiasm for the piano is a welcome addition to The Hollywood Piano family. 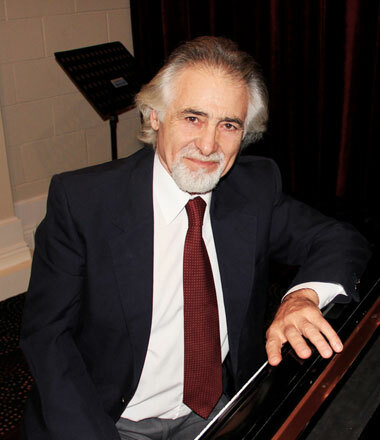 Pianist Mario Merdirossian takes on a number of roles at the company. He is on faculty of the Hollywood Piano School of Performing Arts (HPSOPA) and Artistic Director of the American Piano Institute, a Moresister institutional company of Hollywood Piano. He is a former Professor of Piano at the National University of Buenos Aires-Tandil, conducted master classes at the University of Mississippi, the Catholic University of Lima, Peru, El Camino College, Saddleback College and other educational institutions. 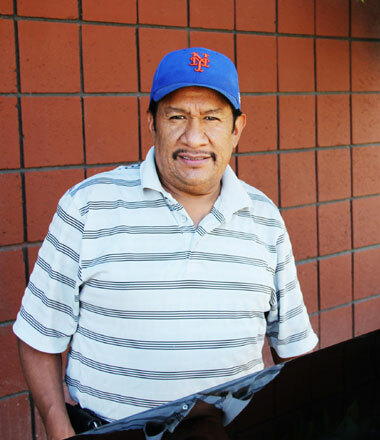 Andres Martinez has been with Hollywood Piano the longest of any employee at since 1995. His duties include organizing the piano inventory for all three locations and being sure that Moreour pianos are in tip-top condition when they arrive at our customers homes. He also makes customer service calls. Andres is originally from Durango, Mexico and now lives in Palmdale with his wife, two beautiful daughters and one son. 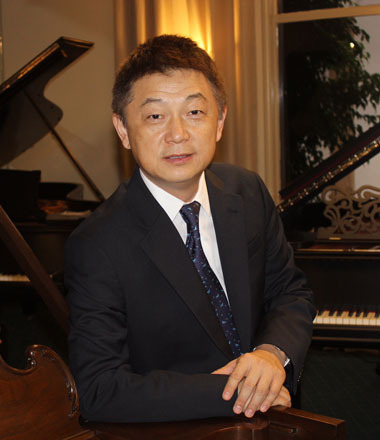 Remington Tang has been with Hollywood Piano since 2009. At age 7 he started piano studies and was a piano prodigy. At age 15, he was one of the youngest students ever accepted as a “special talented Morestudent” of piano performance by Nanjing University of The Arts and graduated at age 19! Following his graduation, Remington was hired in their piano department working as an assistant piano instructor and a few years later promoted to an associate professor. Remington has 30 years experience performing and teaching and is currently serving as a board member of Los Angeles Young Pianist Competition ( LAYPC ). 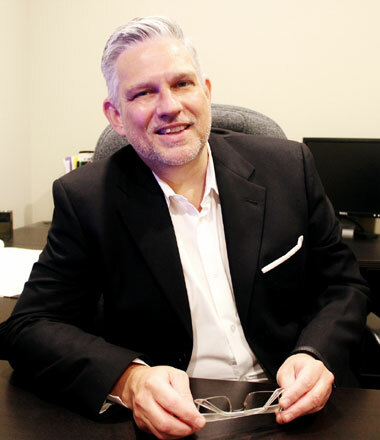 Using his strong background in music education and pianos he began working as a marketing consultant in the piano industry. Currently he is the general manager of Hollywood Piano Pasadena. He brings an unprecedented knowledge of musical repertoire to the piano selection process. 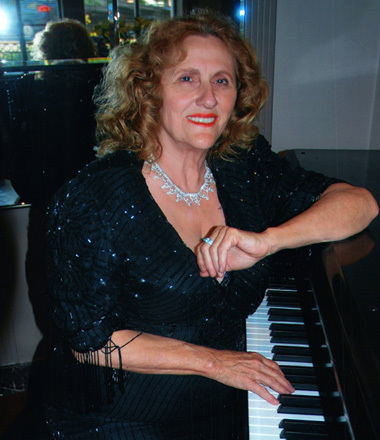 Rene Vanasse has been associated with Hollywood Piano and Glenn Treibitz since 1993. She has worked as a pianist, teacher, salesperson, digital piano demonstrator and panelist on their radio Moreprogram Piano Bar Tonight. She was one of the youngest children ever accepted at the USC music school and at the same time she was a budding child star working for the movie studios singing, dancing and being trained to be the next Shirley Temple. Today Rene is an internationally known concert pianist, lecturer and teacher in addition to helping out at Hollywood Piano. Delilah is our store mascot. She was a rescue Glenn adopted and comes to the store with him daily. She’s a sweet, friendly soul and a music lover. Delilah can sit for hours listening to piano music. MoreIf you’d like to meet her, let us know. But be warned she likes to have her belly rubbed and might expect you to do so.